Students will be able to investigate, describe, and record information about solids. Explain to the students that they will learn about solids today. 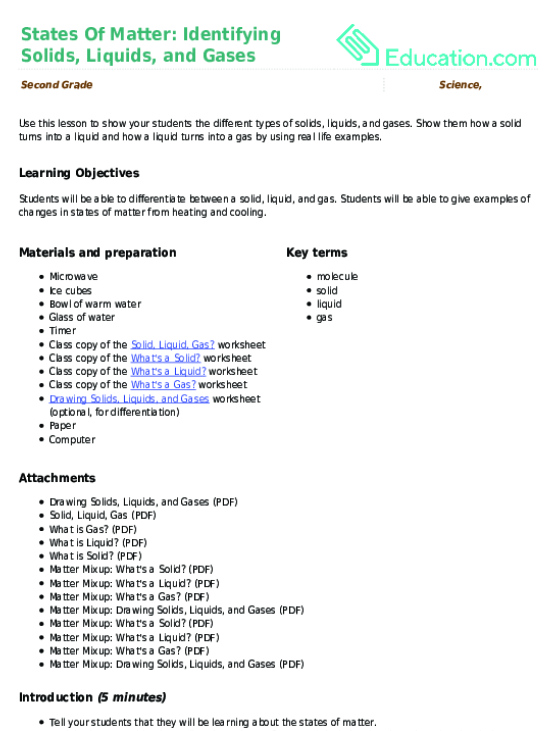 Tell the students that there are three states of matter: solids, liquids, and gases. Tell them that their focus today will be on solids. Show Matter ChatterTo the students. While the song is playing, write the world "solid" on chart paper or the board to make a word web. After the song, ask students to give examples and characteristics of solids. 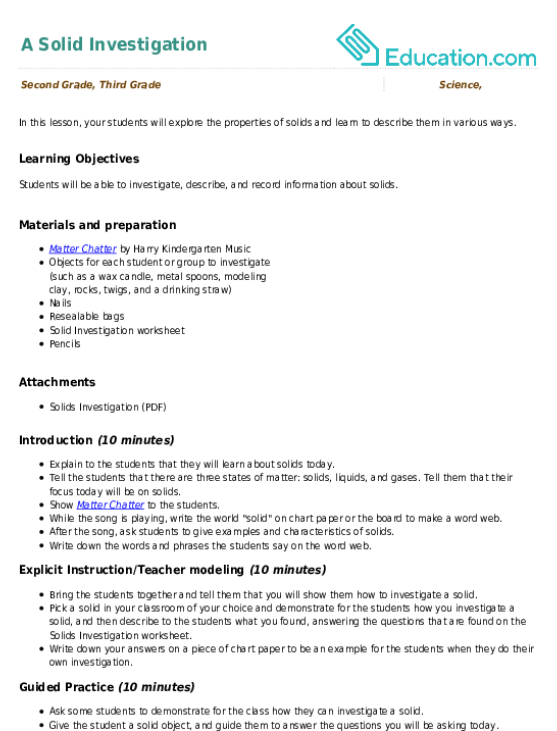 Write down the words and phrases the students say on the word web. Bring the students together and tell them that you will show them how to investigate a solid. 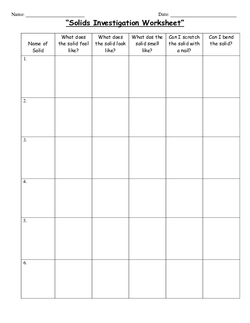 Pick a solid in your classroom of your choice and demonstrate for the students how you investigate a solid, and then describe to the students what you found, answering the questions that are found on the Solids Investigation worksheet. 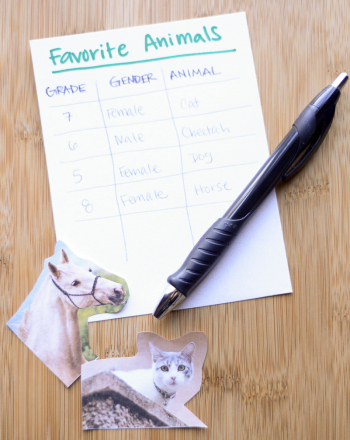 Write down your answers on a piece of chart paper to be an example for the students when they do their own investigation. 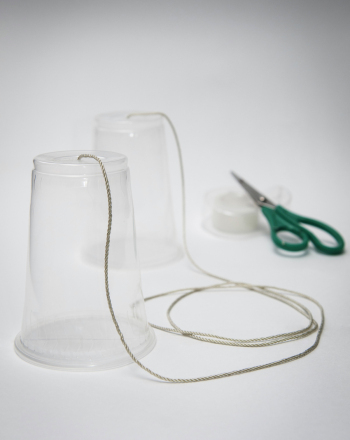 Ask some students to demonstrate for the class how they can investigate a solid. Give the student a solid object, and guide them to answer the questions you will be asking today. Explain to the students that they will all now work on investigating solids. Send the students back to their desks. Hand out the bags of solids and worksheets to the students. Hand out the nails and remind the students that they are for scratching the objects only. 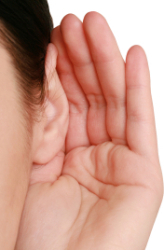 Tell the students to begin their investigation and encourage them to talk and share with their friends while working. Walk around and ask students questions about their discoveries. When finished, ask the students to put every object back in the bags, then collect them and the nails. Enrichment:To challenge students, you can have students write a paragraph about a solid. They can create a description without saying what the object is, and other students have to guess what it is. Support:If students have difficulty writing, you can have them orally communicate their discoveries about solids. During the investigation, walk around and listen to student conversations and ask them about their discoveries. Look over student worksheets to check for understanding. 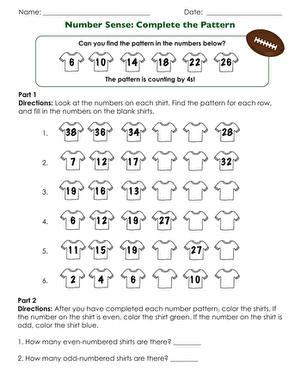 Bring the students together with their worksheets. Ask the students to share with the class their discoveries about the solids they investigated. Discuss any differences in answers. If time permits, you can play the Matter ChatterVideo again. Which solid figure describes a baseball? A sphere! 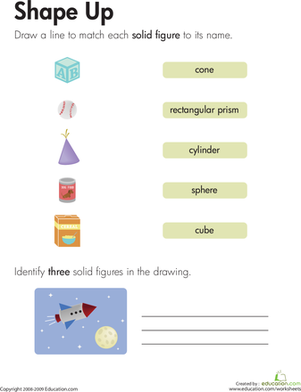 Kids completing this year four maths worksheet match common objects to solid geometric figures. Looking for a worksheet to help your kid with spelling? This printable is great for young readers. 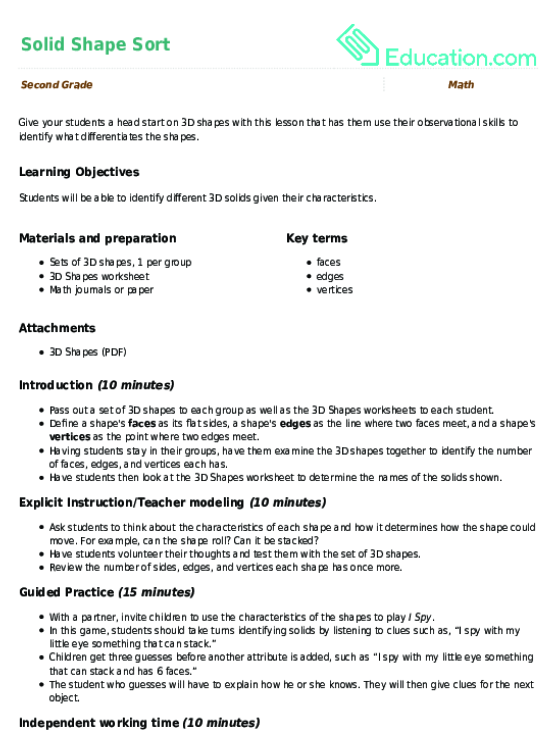 Give your students a head start on 3D shapes with this lesson that has them use their observational skills to identify what differentiates the shapes. This classic children's game demonstrates how sound travels through air vs. through a solid. Show them how a solid turns into a liquid and how a liquid turns into a gas by using real life examples. 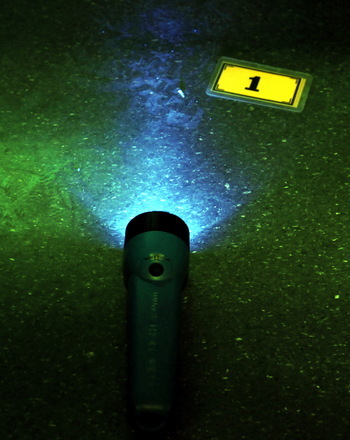 Learn to solve a crime scene investigation using an important forensics tool: oblique lighting. How Well Does Sound Travel Through a Gas? A Liquid? A Solid? In this sound experiment children listen for differences as they tap on a bag of air, a bag of water, and a wooden block held up to their ears. 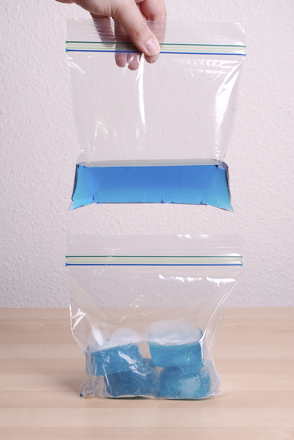 Try this experiment to give your curious kid a more "solid" understanding of how temperature affects the states of matter. 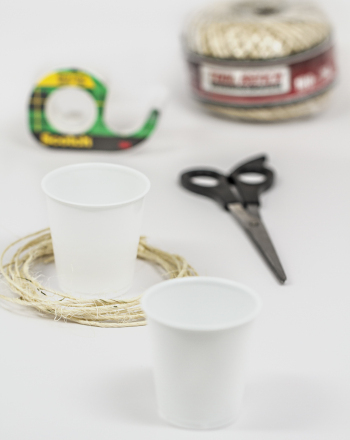 This classic children's game-connecting two cups with a string-demonstrates sound's ability to travel through air vs through a solid. This project affords practise in data-collection, record-keeping and data-analysis through the investigation of this question.